Raising funds in order to continue the work of the Yellowmen is an integral and ongoing process. It is one of a number of charities supported by the Rotary Club of Senlac which hosts various charitable events throughout the year. In addition, members of the Yellowmen, together with families and friends, continually engage in independent fundraising activities. Below is a brief outline of some of our fundraising events and activities. Our 22nd Classic Car Show & Craft Fayre which took place on 15th June 2014 was a great success, with a record number of cars, military vehicles and motorbikes on display. The public flooded in to see the cars, to peruse the wide range of craft stalls, to experience the live musical entertainment and to sample the delicious refreshments. A proportion of the funds raised will be donated to the Yellowmen. On sale are a range of homemade cards and gifts made by Yellowmen and friends. These include vintage crafts, paper crafts, decoupage, needlework and knitwear. The Spring Fair on Saturday 7th June (organised by Yellowman Chris) in St Martha’s Church Hall, Little Common, raised over £100 for the charity. The Yellowmen stall at a recent craft fayre in St Barnabas Church Hall, Rowlands Gill, raised £120. 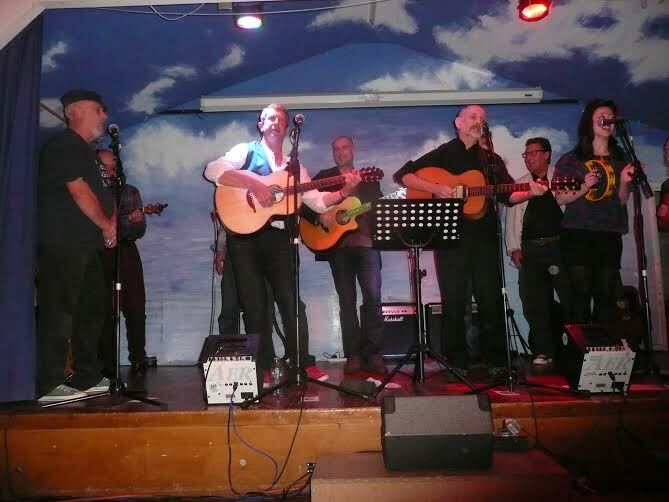 Hosted by poet Brian Moses and featuring local talent The Victory Sisters, the Raising the Roof Concert on Saturday 25th October was once again a great success. A total sell out, over £1300 was raised. The Yellowmen do regular car boot sales at Hexham Auction Mart. Anything and everything sells from clothes and shoes to books, DVDs, bric-a-brac and jewellery. As the saying goes, ‘One man’s trash is another man’s treasure’. Yellowmen speakers are available to give talks to schools or presentations to small groups or businesses. On 4th July 2014 Burnside Primary School hosted their second annual Yellow Day. The children were encouraged to come into school dressed in yellow and to donate 50p to the charity. A Yellowman speaker talked to the children about the work the charity does in Kenya and taught them some traditional Kenyan songs and dances. £198 was raised. Two day sponsored fast – This event took place in February when two Geordie Yellowmen consumed nothing but water over a 48 hour period and it proved quite a challenge (especially as one of the participants had organised to meet friends for lunch!) £280 was raised for the Yellowmen. Annual Hastings Half Marathon – The next Hastings Half Marathon is set to take place on the 19th March 2017 in which a team of Yellowmen and supporters will be raising money for Runo Nursery. On 18th June 2014, Yellowman John Cooper, president of Bexhill Rotary Club, presented us with a second cheque for £1000. Thanks for visiting our school sekerr in West pokot, and assisting our student Gerald lipale.